PR packers and movers are understand the fact that proper packaging of your goods is of most importance to ensure their safety during relocation. Proper attention is given to minute details while packing the goods. 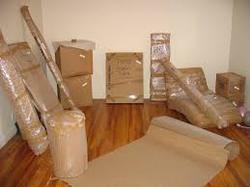 Wrapping papers, cartons, wooden boxes, quality tapes and markers are used extensively while packing goods. We also hold expertise in offering our customers household packing & moving services that meets the demands of all types of goods be it household stuff or meeting the corporate office needs. If you thinking of relocating your home then we may just have best possible solution for you. 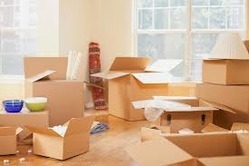 Here at Prime Packers & Relocation we specialize in relocating the household stuff as per your convenience. We ensure you of providing a safe, reliant and cost effective carriage for all your personal belongings. 1st Air Cargo Packers and Movers is a full or part-packing / unpacking professional services company, we offer free visual estimate of the packing, unpacking and moving services, with pictures illustrating of how your belongings will look before and after the packing job. We are providing personalized professional household transportation service in India having more than 15 interconnected and well equipped offices in India . Household shifting involves the shifting of all household items like glass items, paintings, almirahs, electronic equipments, television, and microwave.